Why must we study Seerah (Biography Of Prophet Muhammed saw)? 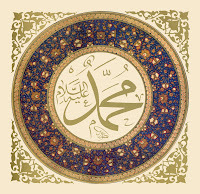 Studying the life of Prophet Muhammad [sal Allahu alayhi wa sallam] is like studying history of Islam. Say: If it be that your fathers, your sons, your brothers, your mates, or your kindred; the wealth that ye have gained; the commerce in which ye fear a decline: or the dwellings in which ye delight - are dearer to you than Allah, or His Messenger, or the striving in His cause;- then wait until Allah brings about His decision: and Allah guides not the rebellious. Say (O Muhammad): "If ye do love Allah, Follow me: Allah will love you and forgive you your sins: For Allah is Oft-Forgiving, Most Merciful."